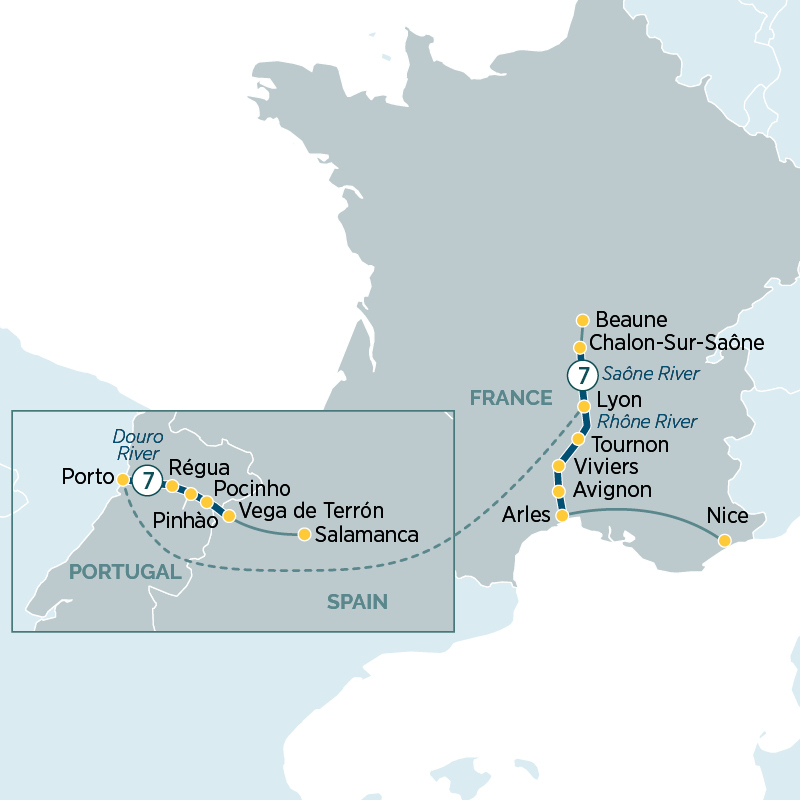 Discover the beauty of Southern France and delights of Portugal on this 15 day cruise from Nice to Porto. Cruise along the Rhône, Saône & Douro rivers. A region steeped in beauty, history and culture, cruise along the Rhône, Saône & Douro rivers over 15 incredible days. Starting in Lyon, soak up the French culture, history and architecture of France. From Burgundy's wine region and examples of French fifteenth-century architecture to Avignon's stunning cuisine and cobbled laneways and shops, your Emerald Waterways Star Ship will ensure a relaxing voyage. Savour the sights as you sail through the Douro Valley, a UNESCO world heritage site dotted with small quaint villages and working vineyards and small farms. Call in at quaint towns including Pinhao, Vega de Terron and Pocinho.